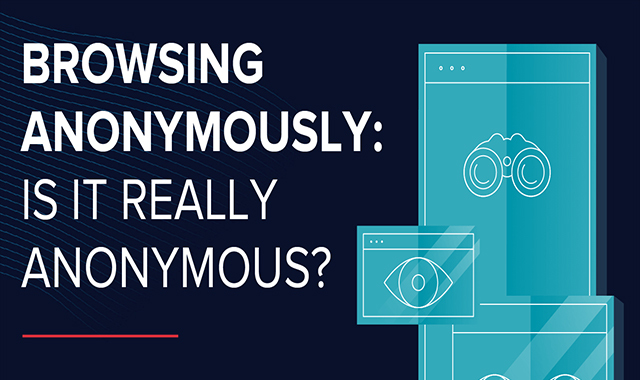 Browsing Anonymously: Is It Really Anonymous? #infographic ~ Visualistan '+g+"
Privacy is top of mind for many people these days. Unclear privacy policies, rampant data collection and high-profile data breaches can lead us to second guess our information’s safety — even when it’s guarded by respected institutions. In fact, Americans reportedly trust credit card companies more than the federal government to protect their personal information. To combat this uncertainty, security experts commonly recommend using virtual private networks (VPNs) and secure browsers to keep your browsing history and personal information off the grid. The reality, however, is that these solutions can’t completely keep your activity private and safe.